New European legislation to encourage battery recycling should save millions of used batteries in the UK from landfill in the years ahead. Since February 1, 2010, companies which produce batteries have been required to pay for collection and recycling – and retailers must also play their part in the process. 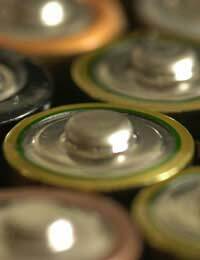 The new regulations should make it much easier for householders to recycle their used batteries. Prior to the new legislation, it could prove difficult to find a neighbourhood recycling point which were equipped to accept batteries. At the end of 2009, only around three percent of batteries in the UK were actually being recycled (which means around 580 million batteries were going to landfill each year) but it is hoped that by making recycling easier, recycling will rise to at least 25 percent by 2012 and 45 percent by 2016. Why is it so Important to Recycle Your Old Batteries? All batteries contain harmful chemicals and metals such as lead, mercury and lithium which should be disposed of carefully. Even common household batteries such as AA and AAA are damaging to the environment. When you put old batteries into your dustbin, they end up in landfill sites and over time, the harmful chemicals leak into the soil. The government hopes that in addition to retailers providing recycling points for batteries, there will also be facilities in lots of other places such as schools, libraries and public buildings. You local council can give you details of your nearest battery recycling point or you can check battery recycling sites online. You should also soon see the special battery symbol with the ‘Be Positive: Recycle’ sign at your local supermarket. If you’d like to encourage other people to recycle, you could become a battery collector and set up your own recycling point at work or in your local community centre or church. If you work for a large organisation that uses larger batteries (such as vehicle batteries) there are even companies which will buy your old ones. If you use batteries on a regular basis, it’s a good idea to switch to rechargeable ones. If more people switched to rechargeable, many fewer batteries would need to be produced every year. This would mean savings in the power used in manufacture, a reduction in carbon emissions from the manufacturing process – and a big drop in the amount of batteries needing to be recycled. Rechargeable batteries are now on sale in most large supermarkets or electrical stores. For most equipment, you will need to invest in a recharging unit, but in the long run it will cost a lot less in battery purchases. You could even consider a solar-powered battery recharger. These cost more but of course you don't use any mains electricity for your recharging and the added bonus is that you can recharge your batteries even if there is no electrical point available.